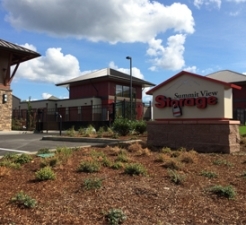 COME VISIT PUYALLUP'S NEWEST SELF STORAGE! 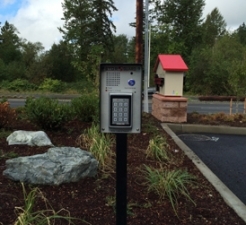 Conveniently located on Canyon Road, weâre just minutes from just about anywhere in Puyallup. 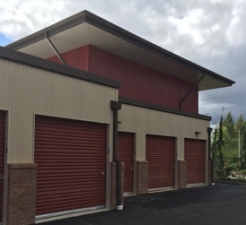 Summit View Storage is your destination for safe, secure, and clean heated storage units. Weâre proud to offer high resolution digital security cameras, convenient gate hours, and exceptional customer service in a facility that is built with you in mind. In addition to offering safe and secure storage we also have extra-wide drives aisles to make maneuvering easy, and energy-efficient extra-bright lighting throughout. We also offer mailbox rentals giving you and your mail piece of mind. Come see what sets us apart today. This is super clean safe and run well. The staff are kind and know what they are doing. I love this storage location! Plus they have an amazing staff that is very helpful. I was in and out within 15 minutes when I was filling out the paperwork for this unit. The location is very clean and spacious and it looks nice. 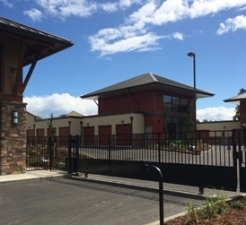 The locks are secure and come with the rental of the unit! I love everything about this place. 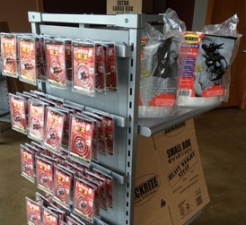 Much better than Public Storage for sure! I just moved my things in a few days ago and I was thoroughly impressed with how clean the site was and how nice and courteous the staff was. The process was super easy and they even had a moving truck that I could use to move my things saving me precious time and money. I'm beyond happy with my choice! 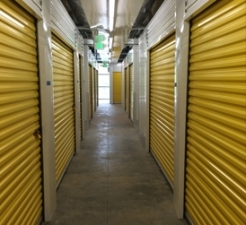 This self-storage facility is very well designed, clean, and affordable. Best one I have ever used for sure. The staff was friendly and helpful. They explained everything in detail. The facility is clean and secure. Just moved haven't had time to formulate a solid opinion on the place price for unit size was double other places but location worked best for me. The service was very polite and professional, I would recommend this facility. Pleased with the service and facility. When I walked in, I thought I was in a ski lodge in Newark England. Warm and inviting with a sitting room, fire place, and a reception area that reminded me of a hotel check-in. The staff was very friendly. The grounds were very well kept. The unit was emaculent. Christin is outstanding at her job. Always friendly, very knowledgeable and a pleasure to work with. Thank you for your great service! Fantastic people with a perfect facility. I walk in the front door and I'm greeted by everyone with a smile. It was very hot outside and I was given cold watee bottles and I was driven to my unit. When we got there it was a little dusty but over all is a great facility. I love this place. I would recommend this place to anyone who is looking for a clean and safe place to store your stuff. New, clean, friendly, helpful, safe and great rates plus amenities! Nice clean storage close in. Polite staff, clean and well taken care of storage area. Easy access makes coming in and out so it is not so hectic. Nice place! Very clean, secure and up to date. I have no complaints other than the doors to the units breaking 5 of my boxes because of unnecessary attachments to the unit. I think this meets any customer standards. Its clean, safe, well monitored and great staff. Very good service, clean and inviting. Great place for storage would definitely recommend to family and friends. I was very happy with facility and christine the lady at the desk was awsome!